My very special friend Tammy at Mom Knows Everything left this little gift for me on her blog. I really, really needed something to make me smile today, and this did the trick. Thanks so much Tammy! You always seem to know when I need a little pick-me-up! I think everyone who blogs needs to put this special little poem on their blog, so when you are feeling a little frustrated or down in the dumps, you can look at this poem, and hopefully, it will bring a smile to your face. 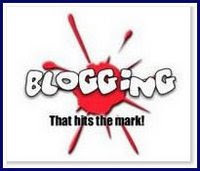 Janice at Twist & Skewer left this on her blog and said that all her readers should proudly display it on their blogs. I'm certainly not going to pass up another bragging opportunity go against what Janice says I should do. So, I'm posting it here, in case any of my readers don't visit Janice's blog (which you really, really should). Go ahead and grab it and post it... It's really cool! You're my best bud and I hope that you smile every day!